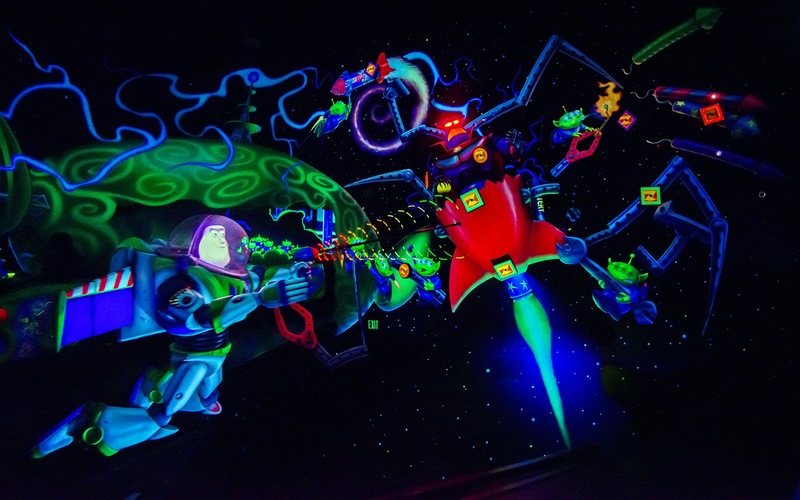 I love Buzz Lightyear Astro Blasters because it typically has a short line, and it always has high replay value. 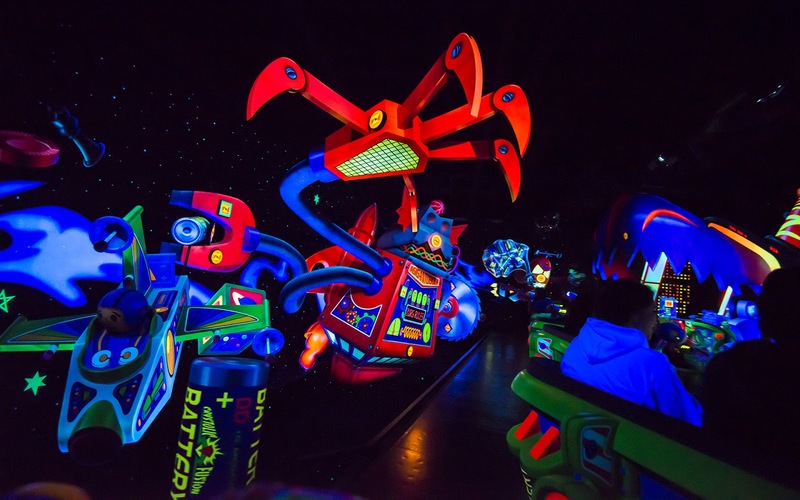 After all, this laser-tag omnimover pits riders in competition with each other and themselves, aiming for higher scores each time. Of course, it takes some knowledge to achieve the higher scores. Not all targets are worth the same--triangles net the most points, followed by diamonds, squares, and circles. 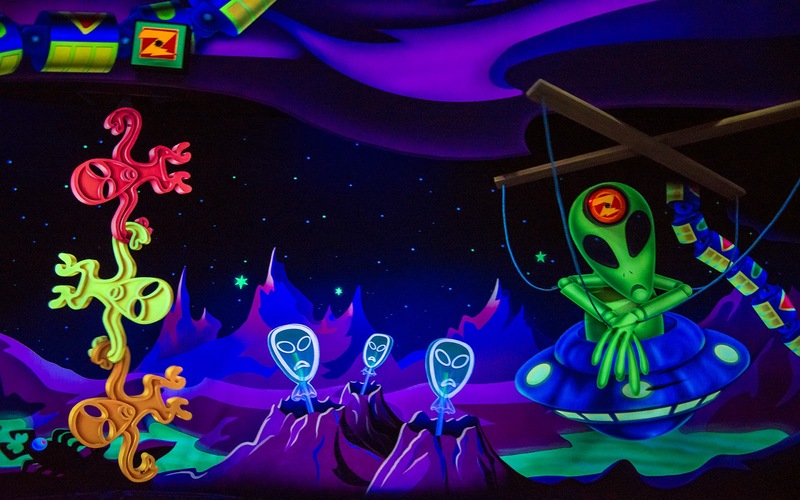 Take note of the order of the targets when they're shown on a mural on the left wall while in line if you have trouble remember. 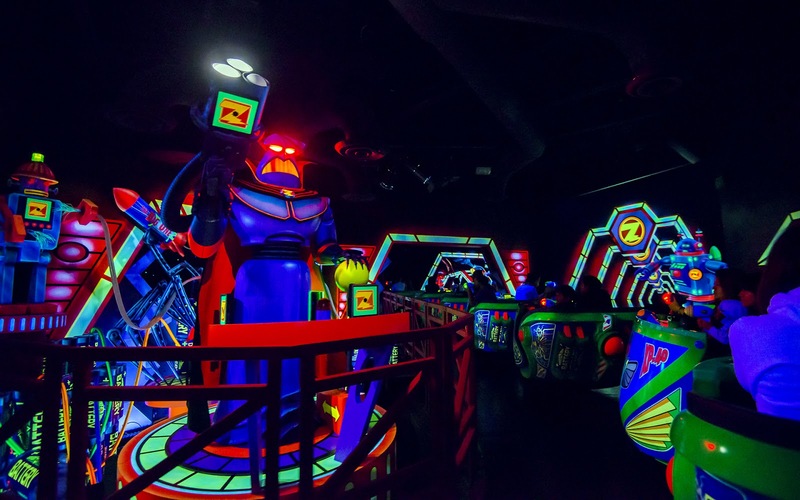 And there are hidden targets at the chest of each Emperor Zurg animatronic. Of course, targets are worth more when they're lit, as Buzz constantly reminds everyone. So hop in, take a spin, and shoot some alien bad guys! 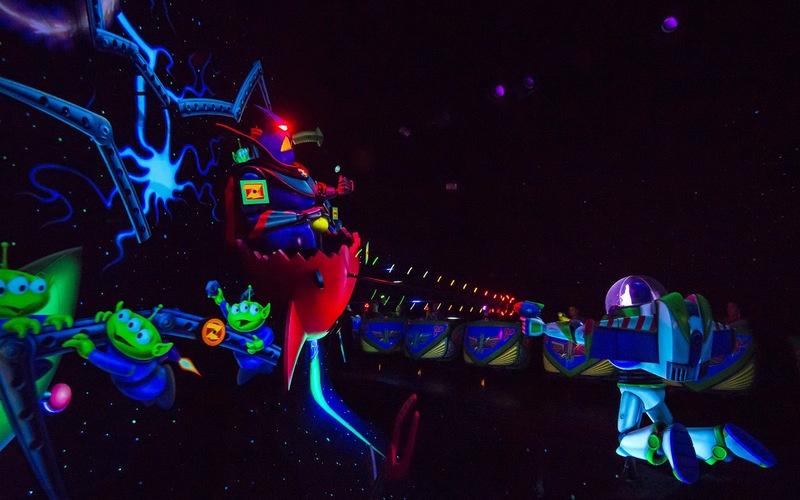 Buzz Lightyear Astro Blasters is full of colorful neon hues. Emperor Zurg greets riders in an early room. Aim at the middle of the vertical line at his chest for extra points. No time to monkey around if you're aiming for high scores! A similar hidden target exists in the final room. But there's also a very nearby triangular target directly behind this angle that is revealed by hitting a round one. 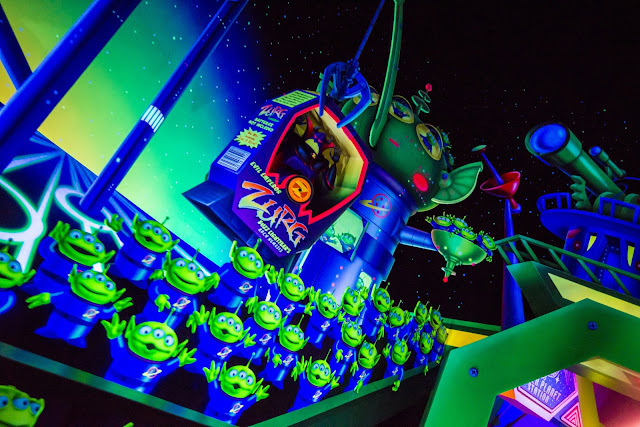 Send Zurg back to his box, since he's been a bad toy. Verrry baaad!